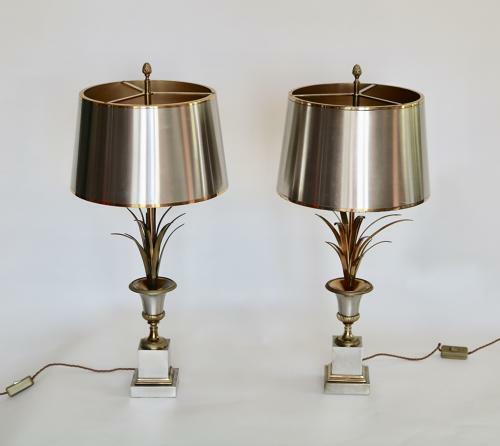 A matched pair of Vase Roseaux lamps by Maison Charles circa 1970. Gilt bronze and brushed steel, these are the epitome of French style and workmanship. Both are stamped with the makers mark. Please note that they are the same model and the shades are identical. One has slightly larger fronds and the gilt bronze is a little brighter.